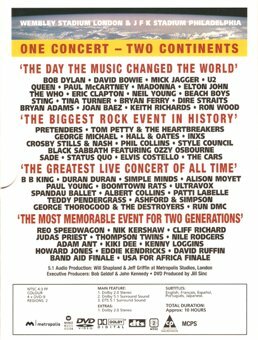 This second part of the 2000s list collects non-album song performances and interviews by Bob Dylan on VHS video and DVD (and laserdisc where I have information) from 2003-04. I would be grateful for any additional information on these items and other material to place here. 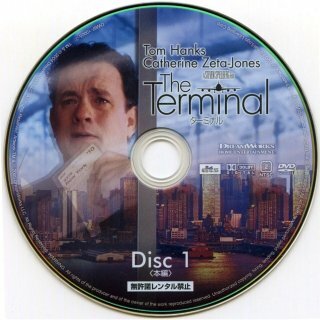 Video material included on CD-ROMs or CD Plus discs is still in the main directory in the appropriate part. Unauthorised documentaries or compilations of performance footage are now included in Questionable Video. 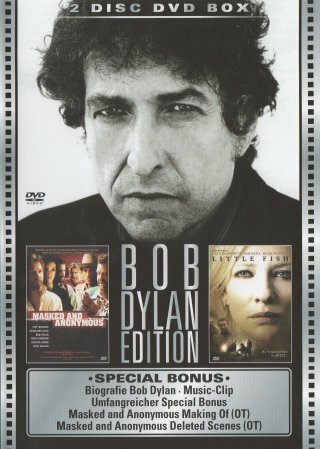 For 2003-04 films with Dylan album tracks, see VHS & DVD: Films with Dylan Album Tracks 2000s Part 1. A contributor thinks this actually is from Cardiff, Wales, 11 May 1966. "This is the wild version, with Bob’s hands flying, first shown in Eat the Document." Both R-0506 and R-0319 were also used in the 1979 video Heroes Of Rock & Roll (see VHS & DVD 1970s), and the 1987 video - The Fabulous 60s Vol. 7 (see VHS & DVD 1980s). 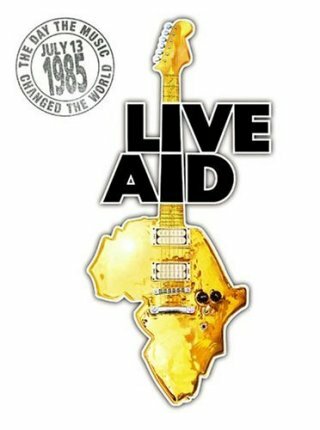 R-0319 also appears in the 1994 Robbie Robertson video Going Home (see VHS & DVD 1990s Part 1, and in the 1996 boxed sets The Golden Age Of Rock 'N' Roll and Dancing In The Street (for both see VHS & DVD 1990s Part 2). It is now included in the 50th Anniversary Collection 1965, see 2015. The DVD also includes The Byrds performing Mr. Tambourine Man and interviews. Thanks to Hans Seegers and Harold Lepidus for information. Thanks to Larry Crum for the information that the excerpt of R-0319 shown here includes "the ENTIRE last verse, but not the instrumental break included in the Going Home VHS release." Thanks to Harold Lepidus for information about this item. 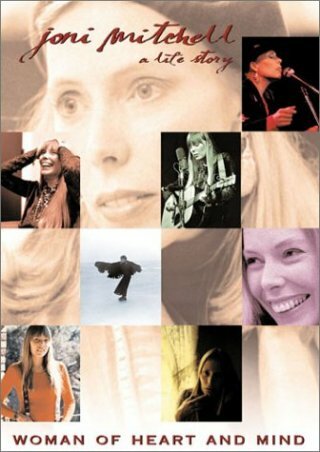 US DVD release Joni Mitchell is of course Canadian! (A long-standing friend of mine was at school with her in Saskatoon, Saskatchewan, when she was Roberta Joan Anderson.) This 92 min documentary contains some footage of Dylan at Newport and from Don't Look Back. 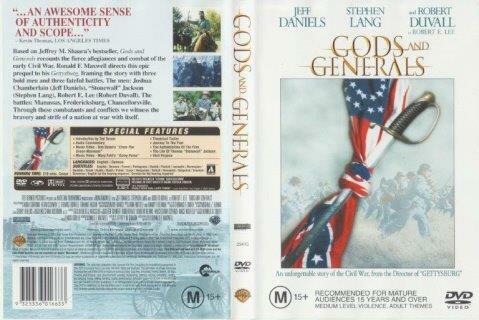 For the 1967 film, see VHS & DVD 1960s, for the 2000 DVD release see above. There is also a scene where Joni sings along to Bob's record of Positively 4th Street. Both are in the segment called "Greenwich Village/Laurel Canyon". Fred Muller says: "About 20 minutes in, there's a brief portion in which she mentions Dylan and how "Positively 4th Street" opened the doors to songwriters: now they could write about anything. On the soundtrack one hears the first lines of Bob's single with Joni emulating it - I think the two recordings were superimposed afterward. On-screen there are snippets from "Don't Look Back" (Dylan at the typewriter, side-on and from behind) and of him in his Newport polka-dot shirt. I'd guess the latter few seconds come from the soundcheck footage in the "Festival!" documentary. This whole sequence lasts about 30 seconds." Thanks to Fred Muller and Keith Cattell for the screenshots below of Bob at Newport and from Don't Look Back. 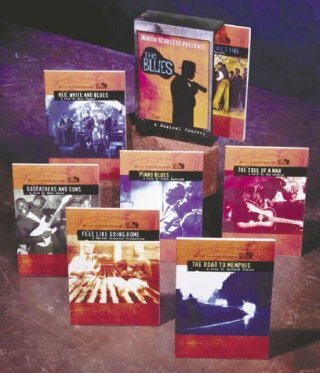 For the 2005 Joni Mitchell Collector's Edition 2DVD set including this DVD, see VHS & DVD 2000s Part 3. Fred Muller says: "I was given a supply of videotapes last month, mostly recorded from BBC4. One of them has Dylan content: the one-hour programme called "Martin Carthy: English Roots" has, about 15 minutes in, a short segment in which Martin walks around the Troubadour in London, mentioning people he saw there in the early 60s. When he mentions Dylan, we see Bob performing one verse of "With God On Our Side" with the fake farm backdrop. Then Martin relates that, whenever he's asked if he ever played with Bob, has replied "no" and confirms that he taught "Scarborough Fair" to Bob. However, he tells that, recently, some Dylan "freaks" interviewed him about Bob and again he denied ever performing with him. They thereupon produced a black-and-white picture (which we see) which shows Dylan onstage in the Troubadour with Carthy playing in the rear of the stage. Martin thereupon tells us that he must have performed with Bob, but "there was an awful lot of smoke hanging around which is why I've forgotten about it". 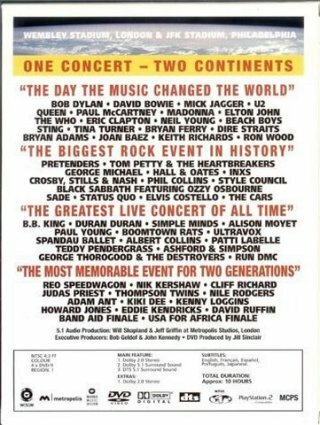 I don't know when this was broadcast or whether it's available for purchase but, judging by the age of the material in it and the similar Richard Thompson, Robert Wyatt and Emmylou Harris documentaries, I'd say they were made round about 2003." 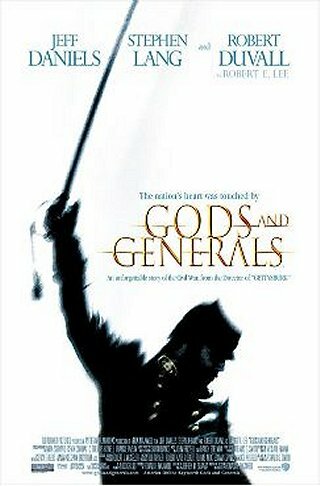 "Gods And Generals" is the prequel to "Gettysburg" by the same director, Ron Maxwell, both based on novels by Jeff M. Shaara. For more information, see . Thanks to Tim Dunn for the US catalogue numbers. This DVD is double sided (the film is four hours long) so has no label design, and comes in a card case with black plastic edges and a plastic holder for the DVD itself. Tape label picture from eil.com Thanks to Jean-Pol Hiernaux for information about AristoMedia Country Compilation Reel #27, a five song promo NTSC video tape from AristoMedia of Nashville, TN, dated 28 Jan 2003. 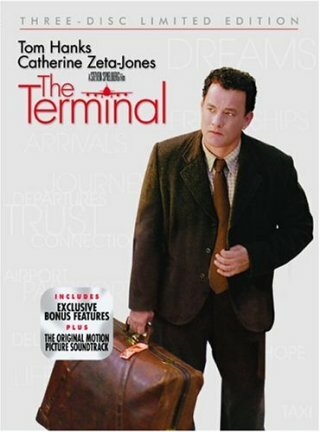 It contains R-0601 plus Going Home by Mary Fahl from this film. The tape is in a generic card slipcase. Thanks to "LostTreeLane" and Gino Galvez for the information that the song is edited. 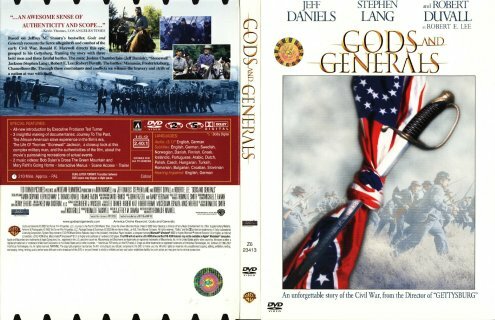 "LostTreeLane" adds: "I just saw Gods And Generals and thought I'd let you know that, interestingly, when 'Cross The Green Mountain plays over the closing credits, it's neither the full length version nor the video edit. It's yet another cut somewhere in between the two: after the "avenging God" line, it goes directly into the final verse: "I'm ten miles outside the city"." This video was recorded in Hollywood Cemetery, Richmond, VA, on 23 Nov 2002. 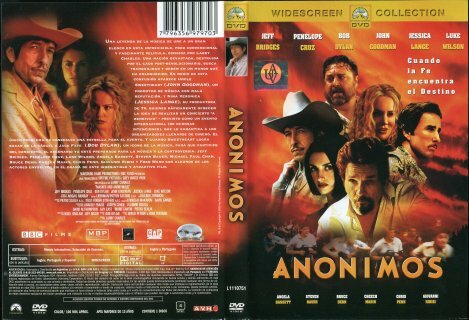 Thanks to Harold Lepidus for the information that an "advance screener" of this DVD was being distributed in early Jun 2003 by Warner Home Video - this has no artwork in the packaging or on the DVD itself, and no extras. 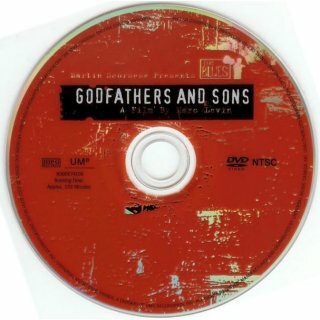 For details of the film soundtrack album with the full 8:12 version of the song (R-0586), see 2003. 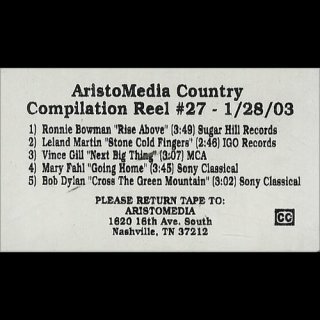 The full version of 'Cross The Green Mountain was released in Oct 2008 on The Bootleg Series Vol. 8 - Tell Tale Signs: Rare And Unreleased 1989-2006, see here. This means R-0586 has ceased to be a rarity. R-0601 and R-0603 remain rarities. Thanks to Juergen Wasser for scans of the Russian release of this film. This is in English with Russian subtitles. 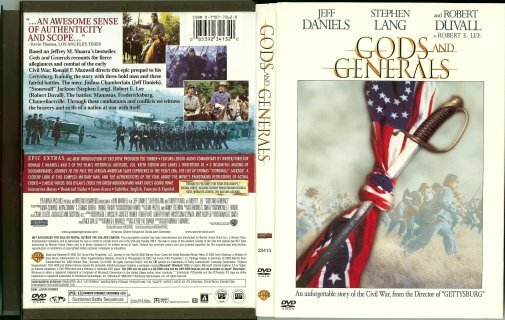 Thanks also to Stanislav Tomik for scans of the Czech Republic/Slovakia release and to Jack Guerreiro for scans of the US DVD double feature including the previous film "Gettysburg" (which is later chronologically). 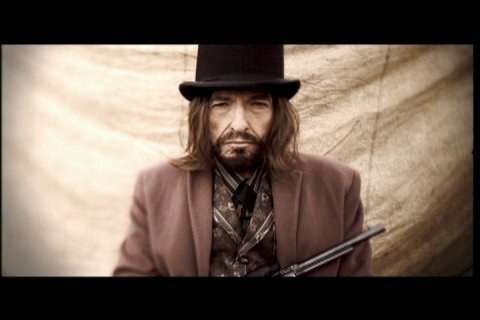 Bob in 'Cross The Green Mountain video (R-0601) in period dress with a wig and beard! 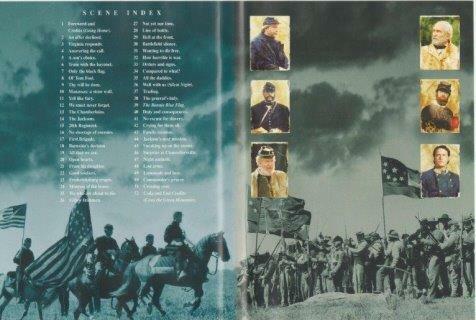 Thanks to Stuart Moore for scans of the Australian DVD release which has the same catalogue number as the US release, but a different DVD insert design. 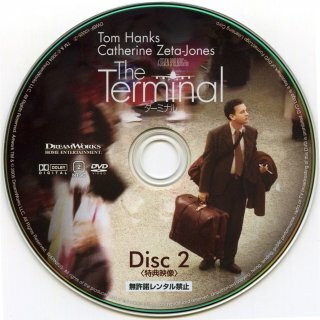 The double-sided disc is similar to the US disc. 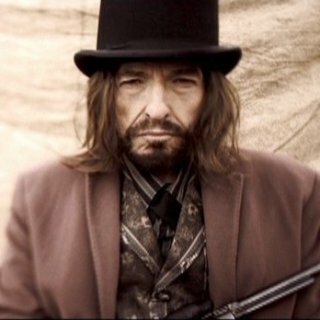 Bob Dylan's 'Cross The Green Mountain music video is included in the Special Features. 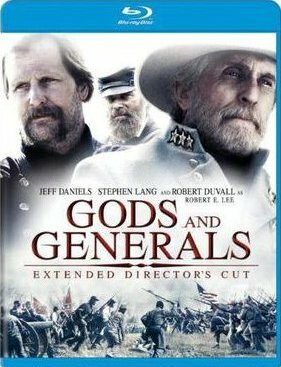 Thanks to Dag Braathen for information that an Extended Directors Cut of Gods And Generals was released by Warner Home Video on two Blu-ray discs in 2011. The original film was four hours long, and this version is five hours long! I assume the Dylan content is the same. 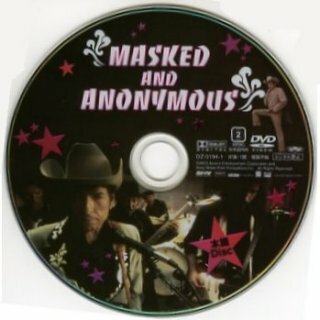 "Masked And Anonymous" - film poster The soundtrack album was released in the USA on 22 Jul 2003. 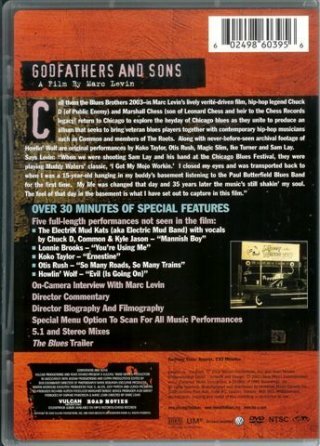 The Columbia soundtrack album has not been included on the bobdylan.com albums page, so qualifies for the Rarities list, see 2003. 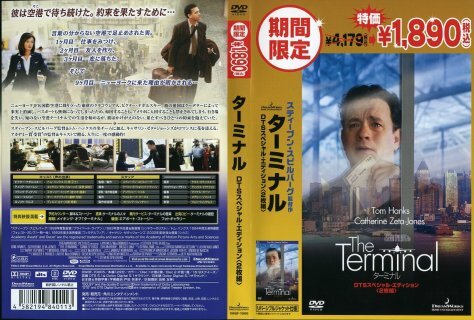 For the official movie web-site, see here . For an unofficial movie web-site by Trevor Gibb, see here . 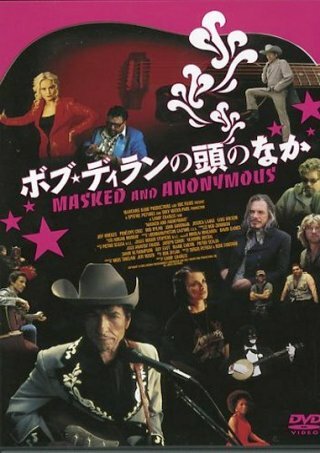 This film starring Bob as singer Jack Fate was premiered at the Sundance Film Festival, Park City, UT, on 22 Jan 2003. 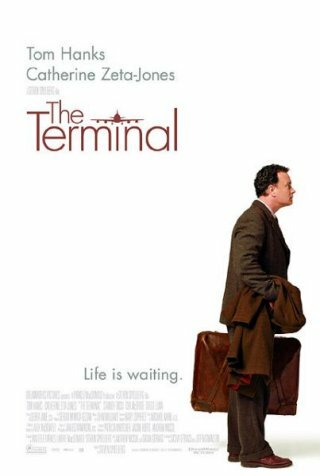 It was commercially released in New York and Los Angeles on 25 Jul 2003, and received limited release at major cities in the USA and Canada in 2003. R-0612-2 Diamond Joe (Traditional) - live from Jack Fate and his band, recorded as R-0615. 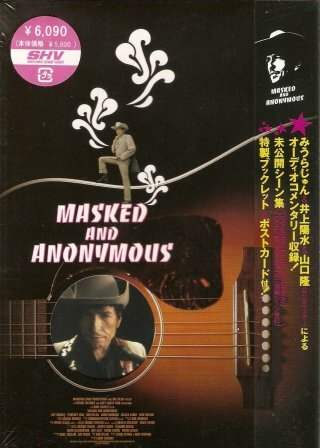 This performance is available to download from the Apple iTunes Online Music Store and a video clip is also available on the "Masked And Anonymous" web-site . Thanks to Paul S. Levine and Jean-Pol Hiernaux for pointing out that the iTunes version is 10 seconds shorter. Note this is a different song from the one on Good As I Been To You, see International Albums (Regular), thanks to Gil Walker for pointing this out. Thanks to Derek Barker for information in "Isis 180" that although the song is associated with fiddler Benjamin F. "Tex" Logan and has been copyrighted by him, it is in fact traditional. 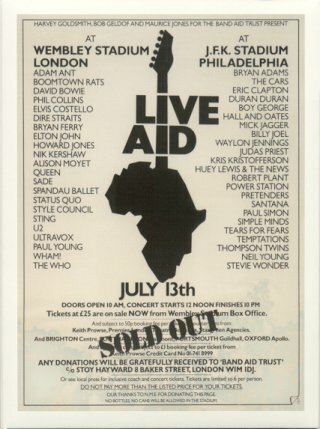 This performance was previously found on the limited edition bonus CD single given away with The Best Of Bob Dylan Vol. 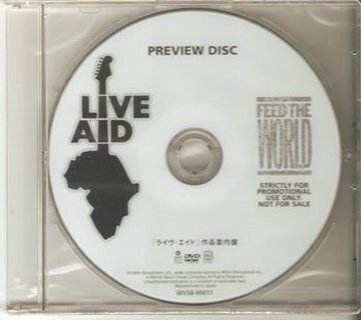 2 in the UK (see 2000), also on the promo CD single Live & Rare 2 (see 2002). Thanks to Michael Smith for the information that this song plays over the closing credits, and is edited compared to the CD version, in that approx. 45 seconds of the harmonica solo is cut. I have therefore allocated a new R-number. Watching The River Flow - cover? City Of Gold - cover by the Dixie Hummingbirds from their 2003 Treasure Records album Diamond Jubilation (see Bob Dylan's Unreleased Songs "C" and "Covers" pages). Thanks to Arthur Louie for the original list. Thanks to Jay Powers, Michael Smith and Trevor Gibb for corrections and further information. 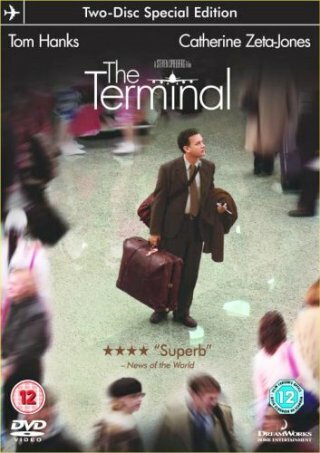 Thanks also to Tim Dunn for information about the US VHS release, which is apparently full-screen (4:3) - the DVD is widescreen (16:9/1.78:1), and to Ian Woodward for advance information about the UK release. Thanks also to Stefan Weber for information about the UK Region 2 release and to Fred Muller for the Australia/New Zealand release. Thanks to Stanislav Tomik for scans of the Czech Republic/Slovakia release, retitled "Inkognito". Thanks to Artur Jarosinski for scans of the Polish release of this film. This is in English with Polish subtitles. 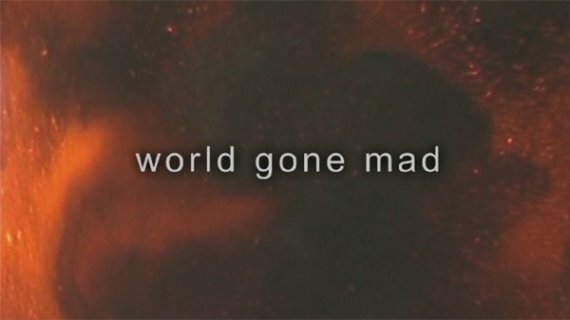 The title change is bizarre, to "Jeźdźcy Apokalipsy" ["Horsemen Of The Apocalypse"]. Thanks to Michio Kinoshita and Wil Gielen for scans of the 2003 and 2005 Shochiku Japanese releases which also has a booklet and a postcard inside the pack. 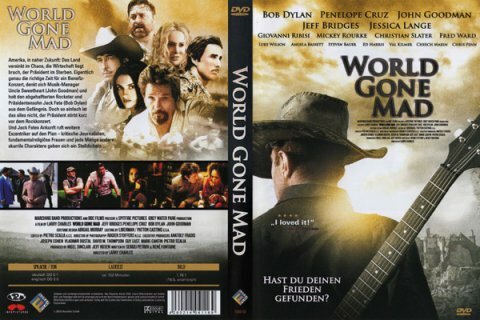 Thanks to Gerd Rundel for scans of the 2005 German release. 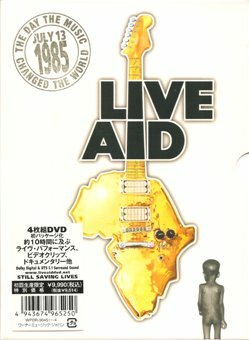 Keith Venturoni tells me the UK version of the DVD has a unique full length performance of Cold Irons Bound. This is confirmed by Dag Braathen, who provided scans of the UK DVD plus a screenshot. Dag adds: "UK playing time of the movie track: 1hour 41min 53sec, US playing time of the movie track: 1hour 46min 27sec. 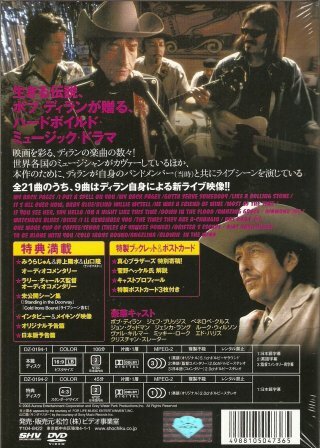 The documentary is 6 minutes longer on the UK release, it has more behind-the-scenes footage of Dylan and interviews with the band members, also has a short clip of performing If You See Her Say Hello performed in the same setting as Dixie and I'll Remember You. There is indeed a full performance on Cold Irons Bound." The DVD chapter division on the UK disc is quite different from the US disc! There are 28 chapters in the US film (also in the Australia/New Zealand version), but in the UK film there are 18. 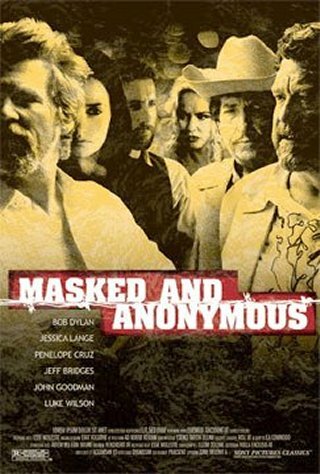 When he was on holiday in South Africa Fred Muller saw a copy of the Masked And Anonymous DVD with a different cover yet again - scans required! 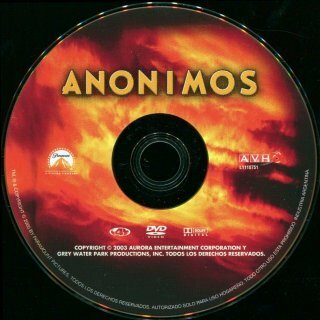 Paramount Pictures/BBC Films/AVH (Argentina Video Home) L1110751 (Argentina) - front scan by Sergio Mariano Romay The Argentinean release has a Spanish title of just ANÓNIMOS [ANONYMOUS]. On the front, above Luke Wilson's head, is the slogan “Cuando la Fé encuentra el Destino [When Faith finds Destiny]”. Also on the front is the anti-piracy hologram. This release was also exported to Uruguay and Paraguay. It does not have an inner insert. On the rear there is a brief review of the film in Spanish. The soundtrack in in English and Portuguese, with subtitles in English, Portuguese and Spanish. Great Movies 67681 (Germany) - front scan by Ronald Born Thanks to Ronald Born for scans of a strange 2007 2DVD Great Movies German release called Bob Dylan Edition which teams up Masked And Anonymous with the seemingly-unrelated Cate Blanchett 2005 film Little Fish. 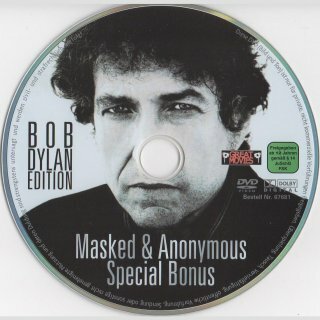 The Dylan DVD has some special features. The "Deleted Scenes" are as in the releases above. 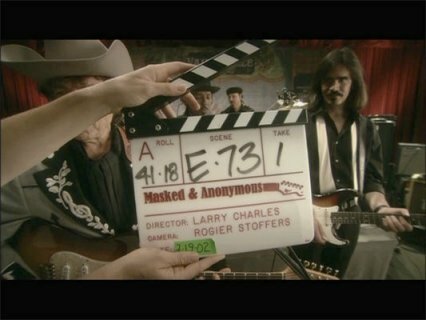 The "Making Of" (15:30 min) shows some interviews by Jeff Rosen with Larry Charles and the main artists (but not Dylan) and scenes from the set and the movie. 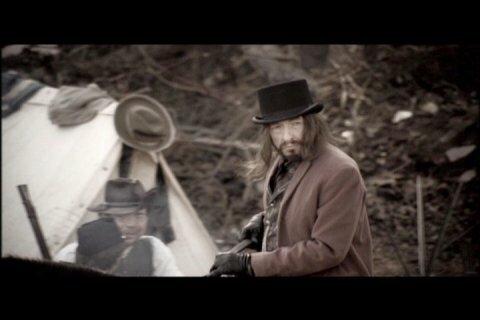 A "Movie Trailer" (2:23) follows. All these bonus features are not translated into German. 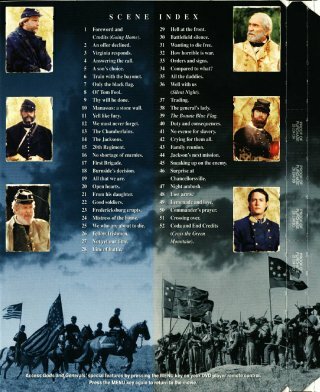 "Music Clips" shows some music from the movie (Down In The Flood, Dixie, I'll Remember You, Drifter's Escape, Cold Iron's Bound). It was compiled from the translated German version. That means that the actors in the scenes (Mickey Rourke for example) are speaking German. At the end Blowin' In The Wind from Santa Cruz 2000 plays over a slide show with pictures from the movie. Also there is a short German biography with a list of Dylan's albums, movies and a very long list of Soundtrack Appearances (no music, no pictures, just written). 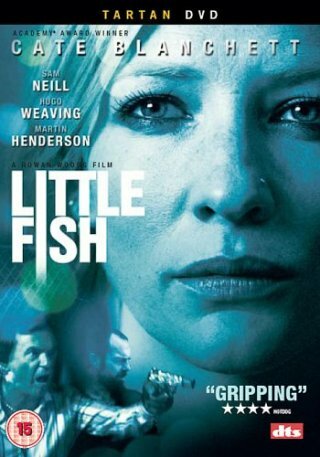 The second DVD of this set is Little Fish, a 2006 Australian film set in Sydney featuring Cate Blanchett. 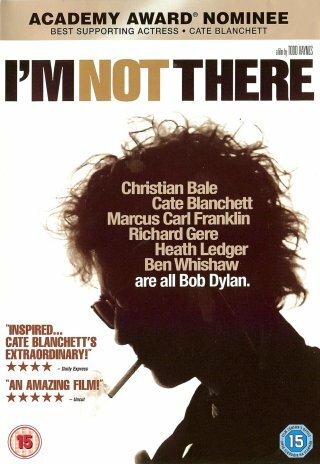 The Dylan connection is obscure but may relate to her playing the "Jude" Dylan personality in the 2008 Todd Haynes film I'm Not There, see Video & DVD 2007-09. There is no Dylan content on the DVD itself. The DVD case was housed in a card slipcase with exactly the same cover. 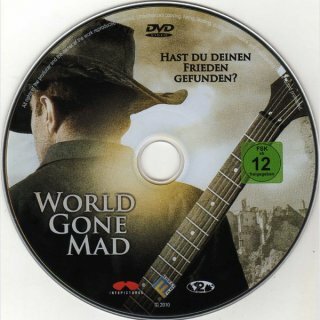 Thanks to Dag Braathen for information about, scans and screenshots of the 2010 German Alive Studios DVD release retitled "World Gone Mad"! The www.amazon.de copy is classified "16" while Dag's copy bought in Austria is classified just "12". Note from the title screenshot that the film itself has been retitled as well as the artwork and DVD menu. 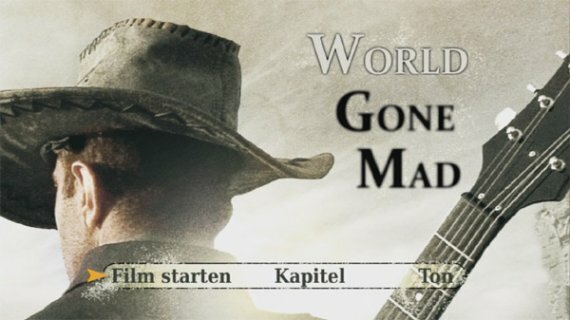 German "2 on 1" DVD release with True Women (2012), picture from www.amazon.co.uk The film was again released on a "2 on 1" DVD in Germany in 2012 in another strange combination, with True Women, a Western starring Angelina Jolie. 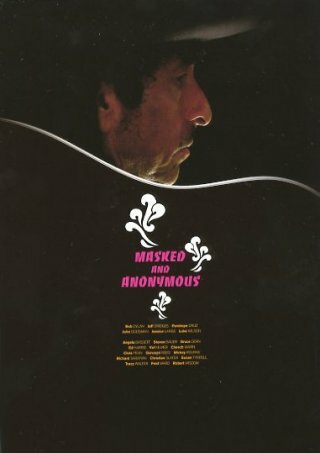 This time the Dylan film title has been restored, although there's no connection at all to the second film! Thanks again to Dag Braathen for scans of the German Blu-ray release - as far as I can find it has not been released on Blu-ray anywhere else. 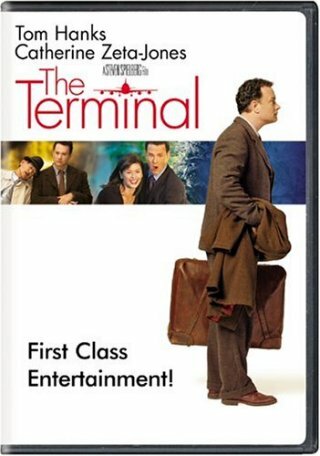 This song is most appropriate for a film starring Tom Hanks about a man stuck in an airline terminal for months! 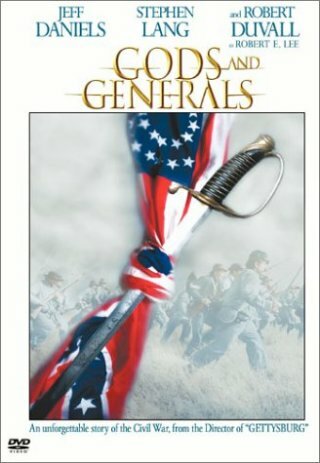 Thanks to Tim Dunn for information about this film. 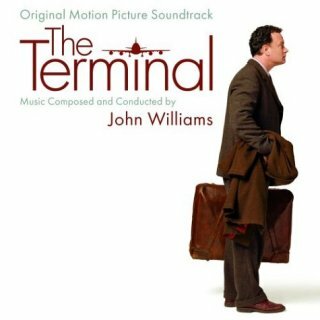 This song was featured in the TV and theatre trailer but is sadly not on the film soundtrack album, which features only music by John Williams, and also not on any release of the DVD, even the two-disc editions. 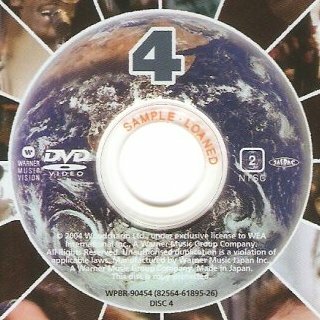 Thanks to Moise Potié for scans of the Japanese Two-Disc Special Edition. 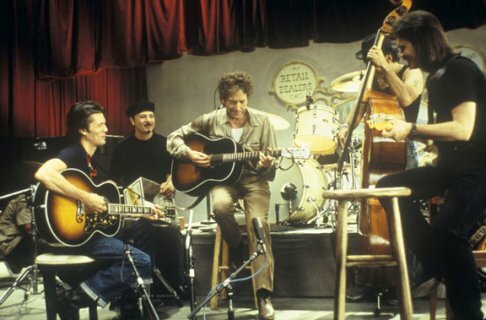 American Masters WT 234 (USA) - picture from PBS TV web-site This 60 min documentary includes a clip of Bob singing Lost Highway by Hank Williams from the 1967 documentary Don't Look Back. 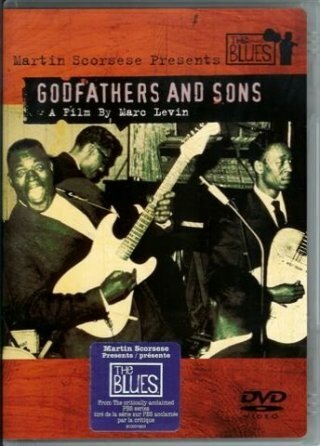 For the 1967 film, see VHS & DVD 1960s, for the 2000 DVD release see above. 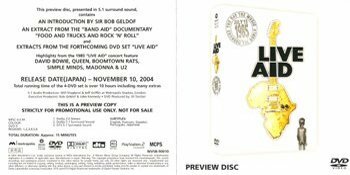 The DVD also includes a 15 min "featurette" of the rehearsals which includes about 25 secs of Bob and Willie rehearsing the song. As this DVD is currently the only appearance of both performances, I'll use the same R- number to cover them both. 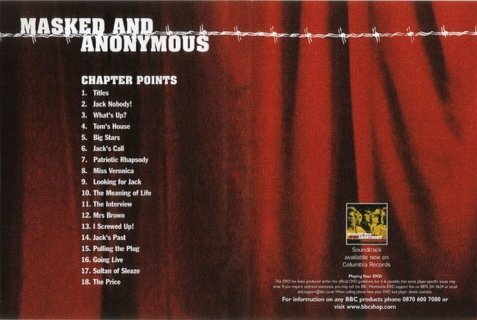 The Lost Highway Records CD soundtrack album of this event (illustrated) does not include this song! Thanks to Tim Dunn and Harold Lepidus for information. 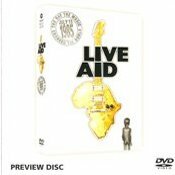 More information on the 2004 UK DVD release will be added when available. Lars-Arne Klintworth from Germany has a European copy on EV Classics, EVDVD 063. This was released in 2007. For more information, see here Thanks to Peter Gilmer for pointing out this release seems to have been shelved! I have it on order at www.amazon.com and shall update this entry when I hear more. 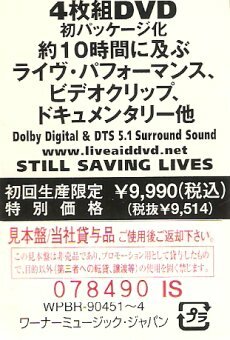 For a single DVD released in 2005 with highlights including an excerpt of R-0690 and R-0750 in full, see VHS & DVD 2000s Part 3. 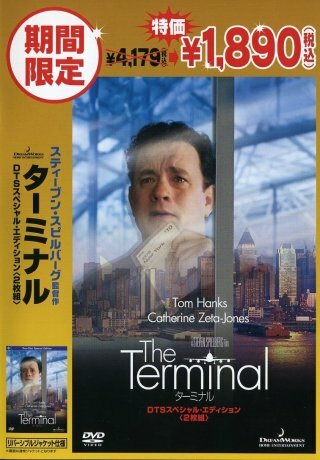 Warner Music Vision R29-70383 (USA) - US DVD release This is the first commercial release of this material in 19 years! 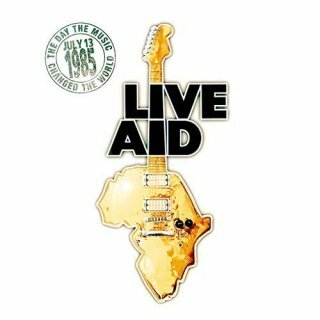 The set is about 10 hours in length, so does not contain the complete concerts from Wembley in the UK and Philadelphia in the USA. The 4 discs are in a foldout pack inside a slipcase, and there is a 24-page booklet. The graphics on the foldout pack and the booklet front are the same as on the slipcase. 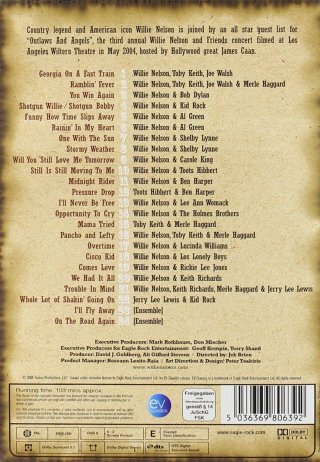 There are no Dylan pictures inside the booklet. In his book "Positively Bob Dylan" Michael Krogsgaard says that Bob, who was playing acoustic guitar, stays for only a few seconds and then exits. 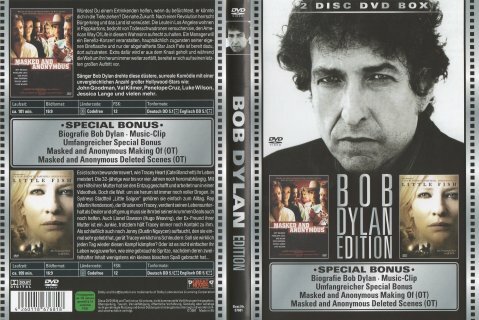 Wil Gielen has a 15 minute promo DVD advertising the 4DVD set with a 35 sec excerpt from this performance on which Bob is not visible. Thanks to Tim Dunn for information about the US release. Thanks to Jack Guerreiro for the French/English sticker from the Canadian release. Thanks to Tim Dunn and Paul S. Levine for news that the audio from this release became available in Sep 2018 as digital downloads (not physical discs) from Amazon and iTunes in the USA. This has been added to Online Performances (Other). 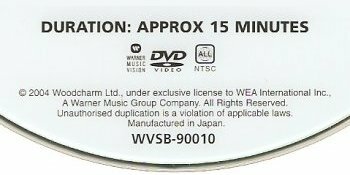 Warner WVSB-90010 (Japan) - first preview DVD, front scan by Wil Gielen Two preview DVDs are shown, each last only 15 mins and have a 40 second excerpt of the finale (R-0750), in which Bob may or may not be present (see Michael Krogsgaard's comments above). 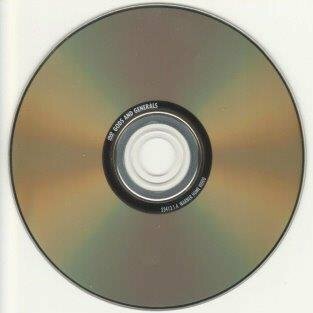 The first (Warner WVSB-90010) came in a CD single jewel case with a folded insert. 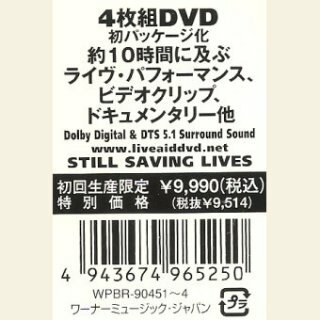 The release date of the 4DVD set is wrongly shown as 10 Nov 2004 (it was 17 Nov 2004). The second preview DVD (Warner WVSB-90011) came in a CD single jewel case without an insert. 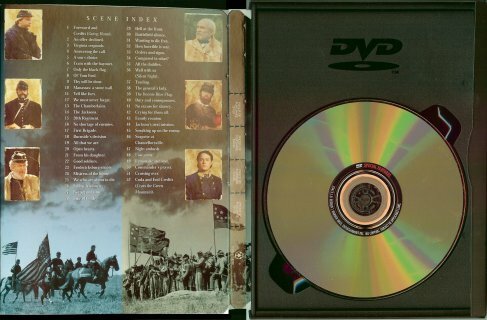 The 4DVD release came in a four-fold digipak inside a slipcase. The price was ¥9,990 (¥9,514 plus sales tax). There was no obi from new. There were two booklets, a 24-page stapled booklet in English and a 16-page stapled booklet in Japanese. There is a pocket for the two booklets on the left-hand inside panel. 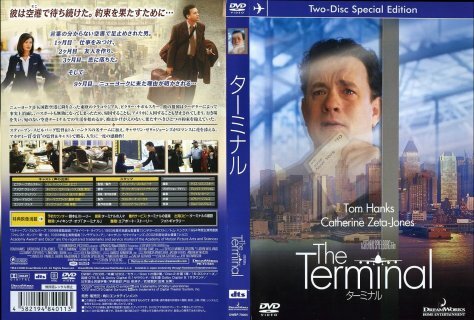 Two copies are shown - one is a promo with a numbered promo sticker over the barcode on the front of the slipcase and "SAMPLE LOANED" in the clear centres of each DVD. The other is the commercial release.